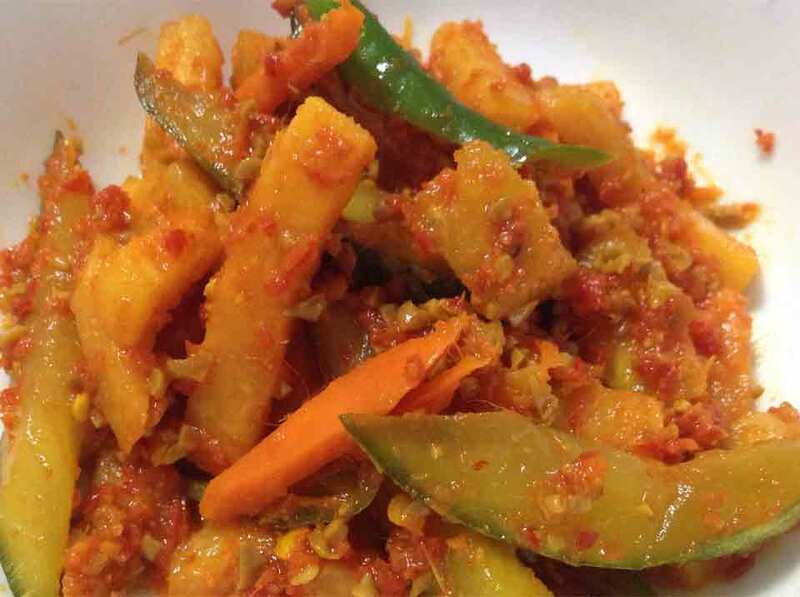 This sweet, sour and spicy achar is an Asian favourite pickle that will help to increase your appetite. 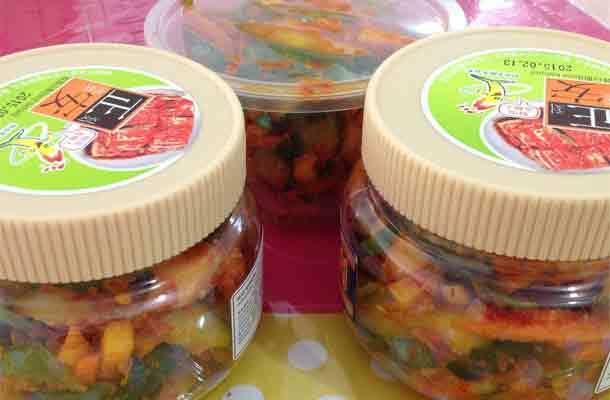 Nowadays, it is not easy to buy tasty achar. 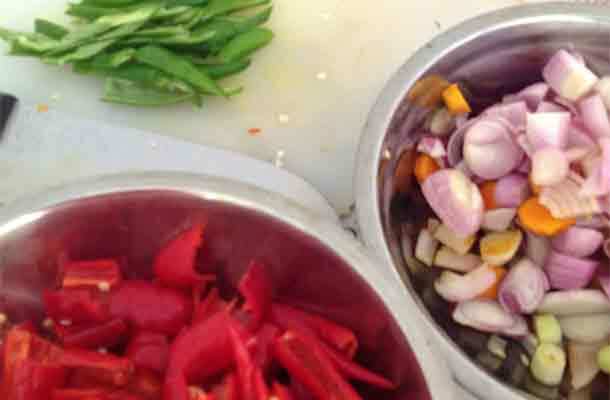 So, why not use this achar recipe to make some superlicious appetiser at home. 1. Cut both ends of cucumber, rub it with the cut cucumber till sap appear. 2. Cut away the sap, rinse and set aside. 3. Cut away the carrot and turnip skin. Wash and set aside. 4. Wash all the chilis and cut away all the seeds. Cut chili into smaller pieces. Set aside. 5. 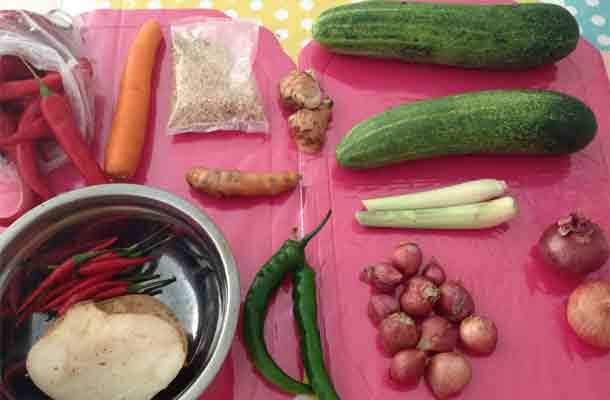 Cut cucumber, carrot, turnip and green chili into smaller pieces (see photos). 6. Marinate cucumber, carrot and turnip with salt for at least 45 minutes. Set aside. 7. Scrap away blue and yellow ginger skin with spoon. Rinse and cut into pieces. Set aside. 8. Cut away the onion skin. 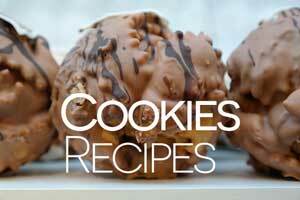 Rinse and cut it into smaller pieces. Set aside. 9. Keep the bottom section of the lemongrass only (see photo). Set aside. 10. Blend chili, onion, lemongrass, ginger and add water. Make sure it is well blend. 11. After blending, stir fry it in the wok till aroma and almost dry - Must keep stirring. 12. Add in salt and sugar – Continue stirring. 13. When is dry, add in oil – continue stirring. 14. Add in vinegar and stir for a while before you off the flame. 16. Squeeze out the water from cucumber, carrot and turnip. 17. 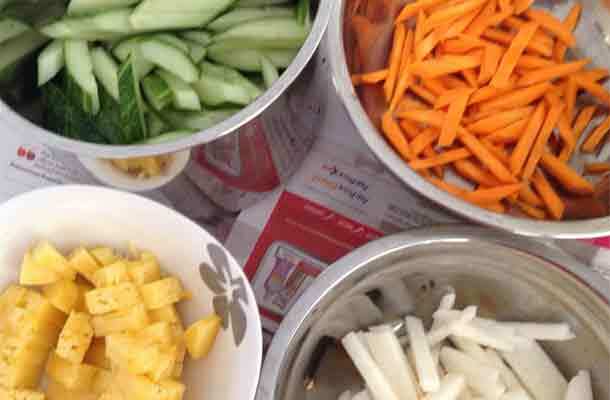 Coat the cucumber, carrot, turnip, green chili, pineapple and peanut with the chili paste in the wok evenly.